NCECA Topical Discussion have always played a substantial role in conference programming, from allowing participants to have a voice within the midst of discussion to meeting other members who have mutual interests, NCECA Topical Discussions and NCECA connections help to set the tone for advanced discussion and relationships that extend beyond the annual conference. This year Topical Discussions and NCECA Connections will play an especially important role in kicking off the conference as they have all been moved to Wednesday…the very start of the conference. This years lineup encompasses a diverse group of artists, writers, and curators who would like to share a topic that they are passionate about and engage in a discussion about how others feel about what has been presented. The idea behind Topical Discussions is that we have two ears and one mouth for a reason. The ability to listen as well as share your expertise is unique to Topical Discussions as the presenters are not required to fill in their entire timeslot but instead engage an audience to see who they approach the subject being discussed. NCECA Connections allows members to meet other members who have similar interest and because it is being held at the beginning of the conference, this gives goers an opportunity to meet new friends and have time to engage with them through the conference. Please stay tuned to the NCECA blog as we will be spotlighting specific Topical Discussions and NCECA Connections that will be part of our programing for the 2015 NCECA Conference in Kansas City. We are thrilled at the diverse subject matter and quality of presenters that we have this year and hope that you will arrive to the early enough to take part in discussions and meet others to connect with. Get ready for quality programming right from the beginning of the conference until the closing ceremony. 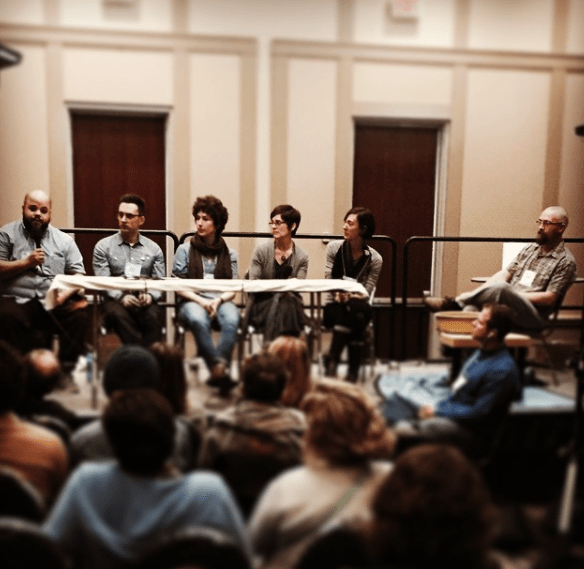 This year’s NCECA conference will not be one to miss—Join us in Kansas City!